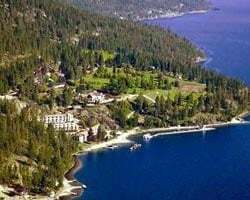 *Lake Okanagan Resort* is situated amidst 300 acres of natural parkland on the shores of Lake Okanagan. The resort features an executive par three golf course, tennis courts, full service marina, beach, stables as well as miles of hiking and birding trails plus extensive summer activity programs. The area boasts over twenty wineries as well as numerous championship length golf courses, all within easy driving distance. Three downhill ski facilities are just over an hour's drive away. Pick your vacation dates with an even year floating week! RTU in perpetuity! Buyer may receive a title fee credit, inquire for details! Stunning lake resort in British Columbia! Floating week! Buyer may receive a title fee credit, inquire for details! Stunning lake front family-friendly resort in desirable Okanagan Valley! Red season week 11! Buyer may receive title fee credit, inquire! Year round resort situated on Okanagan Lake! Floating week of your choice! Buyer may receive a title fee credit, inquire for details! Scenic, all-seasons lake resort! Odd years usage in a floating week! RTU until 2038! Buyer receives complimentary closing credit; inquire for details! Lake lovers rejoice! RTU until 2111! Buyer receives complimentary closing credit; inquire for details! Stunning lake resort in scenic British Columbia! Odd years usage in a floating week with RTU until 2047! Make your offer today! Floating week every even year! 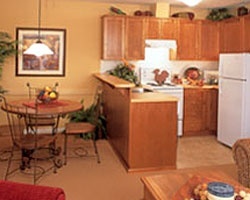 Many onsite activities from tennis, to golf and more! Annual floating week! Activities for all 4 seasons! Buyer May Receive A Title Fee Credit, Inquire For Details! Year round resort situated on Okanagan Lake! RTU in perpetuity! Buyer May Receive A Title Fee Credit, Inquire For Details! 25,600 yearly points with RTU in perpetuity and 60,000 banked points! Buyer may receive a title fee credit; inquire for details! Biennial even floating prime season week! Private beach! Many activities onsite! Buyer May Receive A Title Fee Credit, Inquire For Details! British Columbia resort on scenic Okanagan Lake! Floating weeks per year with RTU until 2042! Leisure weeks 42-50. Lake & outdoor lovers delight! RTU until 2048! Buyer receives complimentary closing credit; inquire for details! Plenty of outdoor activities available year round! Buyer May Receive A Title Fee Credit, Inquire For Details! Any offer considered! All-seasons British Columbia resort on fantastic Lake Okanagan, Yearly floating week! great deal. Motivated seller - all offers considered! Prime season! Buyer may receive a title fee credit, inquire for details! Fantastic resort on Okanagan Lake! Yearly usage in October week w/rtu until 2096! 3 weeks available for $16,000, see details! Week 41 that can also float! 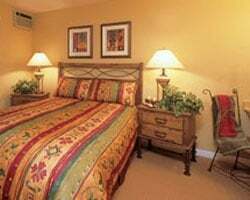 Beautiful 3 bedroom suite. Red week 50 every year! Gold package! New Year's week in odd years! Price is negotiable. Floating prime week (1-18) in even years! Sale includes 90 rounds of golf! Steps to the beach, dock & water trampolines! Beautiful views & skyscapes over the lake. Buyer May Receive A Title Fee Credit, Inquire for Details!